Hello to all old and new readers of Mastication Monologues! I have decided to write this blog entry before the overwhelming nature of graduate school manages to kick in and prevents me from even contemplating writing about a restaurant. This past week has been quite busy gearing up for another semester, but along the way, I had a mini moving adventure with my friend David in downtown Chicago. After a lot of heavy lifting and a frustrating episode with a U-Haul location on the northside, we finally decided we deserved a bite to eat. We ended up going to an Italian restaurant called Quartino’s Ristorante and Wine Bar located at 626 North State Street, Chicago, IL 60654. My friend David said that I’d like the food since they serve Italian tapas. Now, after living in Spain and being to Italy numerous times, I didn’t believe that they actually served tapas at an Italian restaurant. Especially when all of the Italian food I’ve had throughout my life was more about abbondanza and someone telling you to “Mangia Mangia!” instead of tiny/light portions. I was pleasantly surprised when I entered the establishment. We got there at 9 pm, and it was a madhouse with every table filled on the main floor and upstairs. Obviously, this was a good sign. So, we quickly got down to business and ordered our entrees: polenta fries, quattro stagioni pizza, calamari, Tuscan sausage risotto, beef filets, and the organic veal skirt steak. 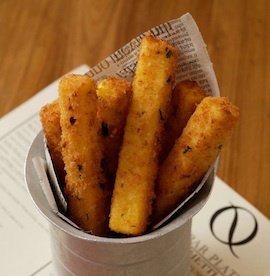 The polenta fries came out first in a small tin cup wrapped in wax paper that had print on it like newspaper. This presentation gave it a more street food feel, but the taste was straight from nonna’s kitchen. The outside breading was crisp and the inside was perfectly seasoned with a pinch of salt. Thankfully it wasn’t polenta that was too goopy or too dry, but the red pepper sauce on the side was mediocre. Next came the quattro stagioni pizza. 4 seasons of deliciousness. Vivaldi would be proud. It was a moderately sized pizza that had paper-thin, New York style crust that you have to fold in order to keep the toppings from falling all over your shirt. On top was a thin layer of tomato sauce along with artichokes, roasted peppers, grilled zucchini, Portobello mushrooms, & Grana cheese. 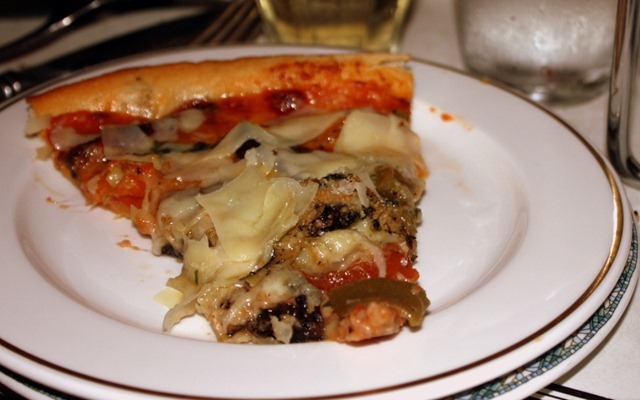 This was probably one of the top dishes of the night (though pizza is one of my favorite foods) since all of the vegetables were fresh, especially the artichokes, and the Grana cheese was thinly sliced over the entirety of the pie which provided a salty kick to the smooth Mozzarella. The only downside was the integrity of the crust. The actual bread was delicious and the crunchy crust had a light layer of flour on it, but with every slice that we took, half of the toppings ended up on the pan. Sorry NY, but I’m just drinking a lot of haterade when it comes to making pizza the right way. Moving on from regional culinary conflicts, the calamari came out the same time as the pizza, and I wasn’t expecting much out of this dish since I’m not much of a seafood fan. 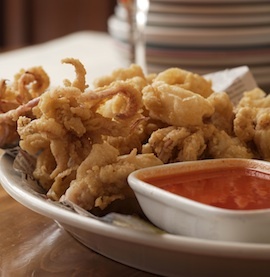 Thankfully, these calamari rings were partially breaded which allowed the slightly firm squid to shine above the lemon zest, salt, crushed pepper, and buttery breading. Next came the Tuscan sausage risotto and the beef filets. With the former, it came out in a little Mount Vesuvius style mound of creamy rice, tomatoes, and peas. The risotto was extremely rich and dotted with tomatoes that effortlessly blended in with the sauce, and the sausage was portioned out in mini-chunks and was doing a fennel based Tarantella in my mouth with each bite. As for the beef filets, they were small medallions of prime meat accompanied by broccoli rabe, red chilis, garlic, and extra virgin olive oil. The red chilis and garlic mingled with the rabe on top of each slice of the meat like some type of verdant toupee but without any of the awkwardness. The last plate, the veal skirt steak, was actually a replacement for the pork belly we originally ordered since they had run out. It was similar to the beef filets with being grilled to order but was then served with a side of wild Arugala, roasted grape tomatoes, and balsamic syrup. The salad on the side with the tomatoes and syrup was an interesting mix because the bitterness of the Arugala was wonderfully complimented by dulcet/light undertones of the syrup. By the end of the meal, I thought that this three-ring food circus was completely over, but my friend’s brother decided to order these Italian donuts called Zeppone. When they came out, I was overwhelmed at the amount that they gave you for the price and awestruck at how delicious they looked. They weren’t like the typical doughnuts with the hole in the middle but rather more like mini-Beignets which are served at the world-famous Cafe du Monde in New Orleans. 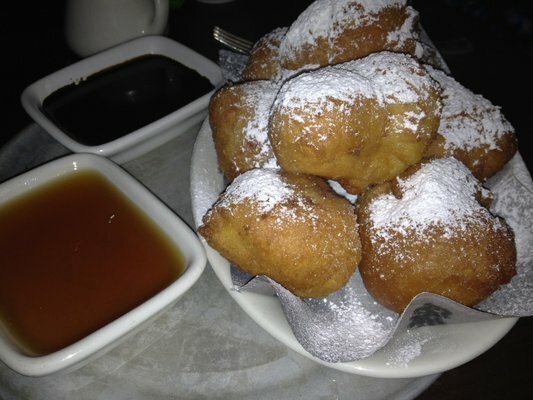 In addition to these tiny fried pillows of dough sleeping under a thick coating of powdered sugar, we got a dipping bowl of honey and one of chocolate. These pastries were light, airy, and the chocolate went much better with the buttery dough than the thick and sultry honey. So if you’re looking for a higher end Italian eatery with a twist on some traditional recipes and serving styles, check out Quartino’s Ristorante and Wine Bar! 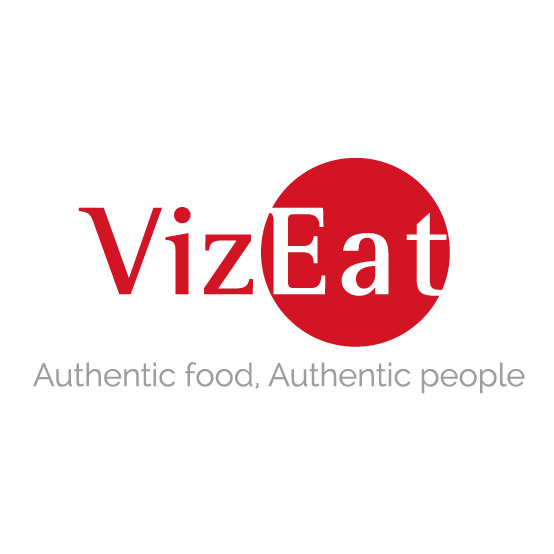 Posted in European Cuisine, Italian and tagged authentic, Beverages, cheese, Chicago, dining, doughnuts, Food, fried, Gourmet, grill, Illinois, Italian, latin, pizza, restaurant, Reviews, rice, sauce, sausage, Steak, tapas. Bookmark the permalink.